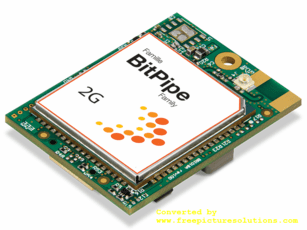 - BitPipe� IoT Connectivity Interface is designed to easily integrate any wireless IoT connectivity, the BitPipe� Modem Family modules, with your IoT solution and onto your printed circuit board (PCB). Once you�ve integrated it in your design, your IoT solution literally become multi-networks compatible. - If required by your IoT application design, and especially for IoT applications and services destined to be used in remote areas with 2G networks like some parts of South America, Africa and Asia, you can instantly establish a 2G cellular network connectivity by simply inserting the BitPipe� 2G Cellular Modem onto the BitPipe� IoT Interface; thus, accelerating greatly your time to market.